The estate of an Indiana man who died following a fistfight at a house party won a partial victory before the Indiana Supreme Court recently, paving the way for at least one wrongful death claim to proceed to trial. 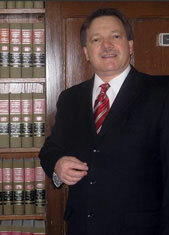 In Rogers v. Martin, the plaintiff alleged the defendant, who co-hosted a house party at which alcohol was served, breached her landowner-invitee duty to exercise reasonable care to protect those on her property and also violated the state’s Dram Shop Act, resulting in harm to another person. This case highlights the duty of care party hosts owe to their guests, which is an important consideration especially as we’re nearing the holidays, when there tends to be an increase in large gatherings.